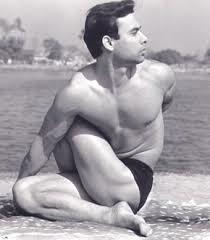 Yogiraj Bikram Choudhury is the founder of « Yoga College of India ». 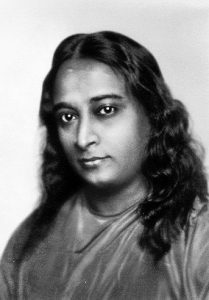 Born in Calcutta in 1946, Bikram started practising at the age of four with one of India’s most renowned physical culturists, Bishnu Gosh, the younger brother of Paramahansa Yogananda (author of “Autobiography of a Yogi” and founder of the Self-Realization Fellowship in Los Angeles). At 17, Bikram injured his knee during a weight-lifting accident. Doctors said that he would never walk again. Not accepting their prognosis, Bikram had himself carried back to Bishnu Ghosh’s school. He knew that if anyone could help heal his knee, it was his beloved teacher. Six months later, Bikram’s knee had totally recovered. 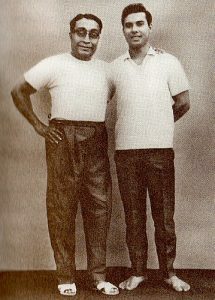 Ghosh was the first to scientifically document yoga’s ability to cure chronic physical ailments and heal the body. 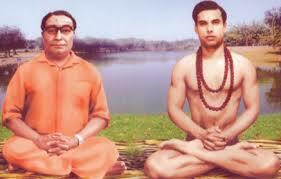 Bikram was asked by Ghosh to start several yoga scools in India to pass on the tradition. The schools were so successful that, at Ghosh’s request, Bikram travelled to Japan to open two yoga schools. In that country, Bikram worked with doctors at the Tokyo University Hospital to prove the medical benefits of its yoga system, including tissue regeneration and healing of chronic ailments . These findings were presented in 1972 at the International Medical Conference in Kyoto. Bikram arrived in the United States in 1973. Since that time, Bikram has healed thousands of students at his school in Beverly Hills and travelled the world extensively, bringing the benefits of Bikram Yoga to millions of yoga students in Bikram studios worldwide. The most practised Yoga in the world ! Today, Bikram Yoga it’s over 1 000 studios, over 50 countries, over 8 000 thousands teachers certified by Bikram himself, and millions of practitioners worlwide !